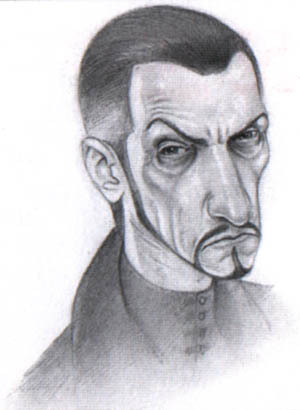 Welcome to the Library, an archive of prose concerning Lord Vetinari. To the right, we have a record of his Lordship's appearances in the Discworld books, for the perusal of my fellow devotees, who (like myself) doubtless often tire of flipping through the Books to savour his scenes. Only his best scenes in the City Watch books are presented here, because His Lordship is so involved in the plot that it is better to just read the books. Note: While it is true that these are large quotations directly from the genius of the Discworld books, I am making no money from presenting them here, and do so only for public benefit (eg, to prevent paper cuts while flipping for His Lordship's scenes), ekcetra, ekcetra.